OzFoz.com • View topic - Best way to setup $tu SG9 moulded sub box? Best way to setup $tu SG9 moulded sub box? Post subject: Best way to setup $tu SG9 moulded sub box? So as the topic stats, I was just wondering, if you guys and girls could tell me, what is the best way to setup $tu SG9 moulded sub box. As I purchased two a while back and final have a free Friday afternoon/night and all of Saturday to waste as well. The main thing that I'm needing help with is. Where's the best place on the box to install the wire terminals? What's the best way to cut this out? What's the best way to surcure the box on both sides but also have it easily removed in future? Also while I've got your attention, where is the best location to feed the power cable through the fire wall of the engine bay, or do you have to make your own? 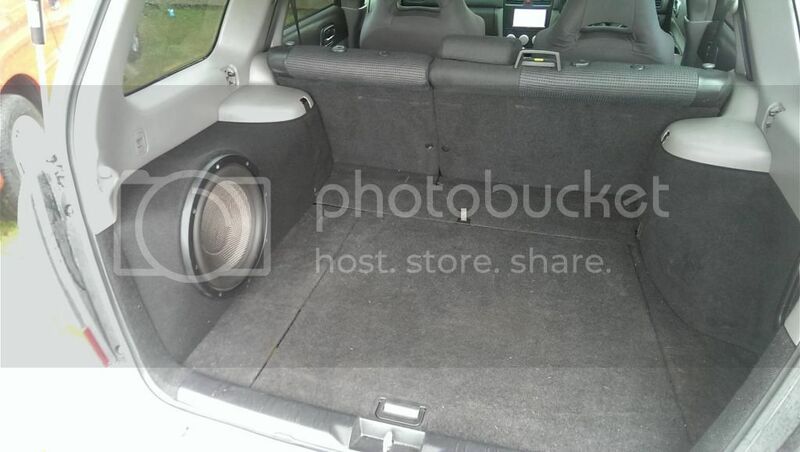 Post subject: Re: Best way to setup $tu SG9 moulded sub box? I drilled a small hole in the back of the box. Poked the wires through. Bob's your aunty. Loop velcro. 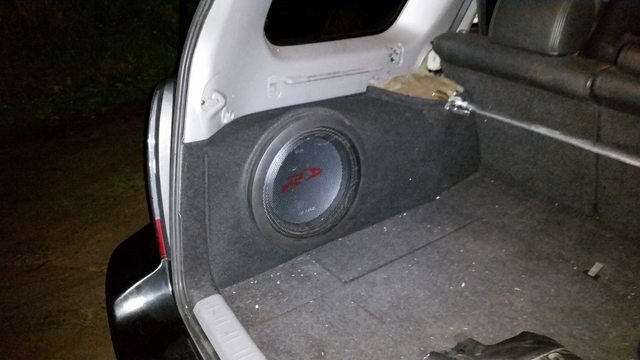 But on the passenger side, I removed my stock subwoofer and used long screws to secure the box in the stock sub srew holes. Also, re power cables. I just poked mine through an existing grommet on the passenger side. Just make a hole with a screwdriver. mine looks very much like the one above. its only secured with velcro and it is very hard to remove. but i t can be done with no tools. i carpeteing job only show one seam. i dynamatted the inside and the wires comes through a hole in the back lower corner which i sealed with silicone. I Say: Needs more positive manifold pressure. Don't bother with a terminal cup. All they do is leak air and add an un needed connection that could fail later. As stated previously, jut drill a hole in the box just large enough to run the speaker cable through to your sub and then seal it up with some silicone. Lots of Velcro is a good, easy way to secure the box in place. If you wanted a more permanent solution you could make a bracket and bolt it in using the rear cargo anchor points on either side. Easiest way to run a power cable through the firewall is to use the AC grommet on the passenger side behind the strut tower. Heaps of room there.